Despite Apex Legends‘ simultaneous reveal and launch under 24 hours ago, Respawn Entertainment’s latest is already experiencing notable success. 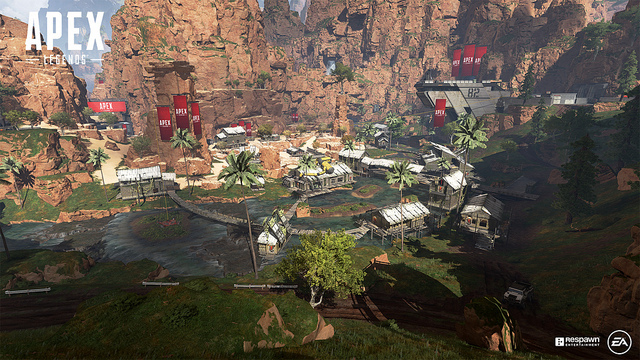 In fact, just eight hours after its launch across the PlayStation 4, PC, and Xbox One platforms, Apex Legends had a player count of one million unique users. This is especially excellent given the unique circumstances surrounding Apex Legends announcement and release. It will also be interesting to see whether this momentum can be maintained, particularly as other online-centric releases are on the horizon, such as Electronic Arts’ own Anthem on February 22nd and The Division 2 on March 15th. Additionally, news concerning Titanfall 3 accompanied Respawn’s launch of Apex Legends. According to Drew McCoy, a Producer at the studio, a third Titanfall entry is not currently in development. However, it remains unclear whether Apex Legends was always its own thing, or if Titanfall 3 turned into the newly released free-to-play shooter. Apex Legends is not all the studio has been keeping close to its chest. The world still awaits concrete information on Respawn’s Star Wars game, Jedi: Fallen Order, which received a bizarre announcement during E3 2018. Apparently, it will release in 2019’s holiday season, though nothing of note has been said about the project since the E3 reveal. Perhaps, akin to Apex Legends, a stealth launch of sorts is also planned for Jedi: Fallen Order. Apex Legends is available as a free-to-play title on the PlayStation 4, PC, and Xbox One.